This study was aimed at evaluating the anesthetic success rates in various regions of soft tissue after inferior alveolar nerve (IAN) block and comparing the success rates of soft tissue anesthesia with those of pulpal anesthesia to find correlations. Fifty-nine dental students received an IAN block injection. A total of four test sites were used for soft tissue anesthesia using a pressure algometer (PA): the corner of the lower lip vermilion border (LL); the buccal-attached gingiva of the lateral incisor (BGI), the molar (BGM), and the lingual gingiva (LG). The lateral incisor (LI) and the first molar (M1) were evaluated for pulpal anesthesia using an electric pulp tester. To evaluate whether soft tissue anesthesia can be an indicator of pulpal anesthesia, the positive predictive value (PPV) and negative predictive value (NPV) were calculated. The highest success rate for soft tissue anesthesia was seen on the LG (93.9%), followed by LL (79.6%), BGI (53.1%), and BGM (14.3%). The PPVs of LL for the M1 and Ll were 74.4 and 59.0%. The NPVs for the M1 and LI were much higher in the LL (90.0 and 100%, respectively) than in the BGI (56.5 and 69.6%, respectively). The highest success rate was found in the LG. Lip numbness was not an indicator of pulpal anesthesia of M1 and LI. However, if the LL was not anesthetized, the probabilities of failed pulpal anesthesia were very high in the LI and M1. The clinicians need to consider not doing an additional lingual nerve block after IAN block. Sin-Yeon Cho and Wonwoo Choi contributed equally to this work. This research was supported by Basic Science Research Program through the National Research Foundation of Korea (NRF) funded by the Ministry of Education (NRF-2017R1D1A1B03033315). 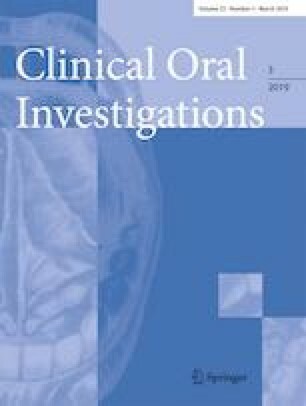 This article contains study with human participants. Approval for this study was obtained from the Institutional Review Board of Yonsei University Dental Hospital (Seoul, Korea) (IRB 2-2015-0002).